Can you believe it's already November? Turkey talk is surely on its way, but Election Day is the next "holiday" on the calendar. Some businesses are celebrating by helping their employees get to the polls next week, my colleague Ellie Silverman reports. This morning we also have an important story out of West Philly about the ripple effect Penn Alexander has had on the community. It seems a well-known pattern of development is leaving little room left for low-income residents. Back in 2002, the Philadelphia School District and the University of Pennsylvania teamed up to open Penn Alexander, which has since been recognized as one of the best schools in the nation. It's been a boon to the neighborhood but, over time, the community in the Penn Alexander catchment has lost much of its affordable housing units and home prices have tripled. 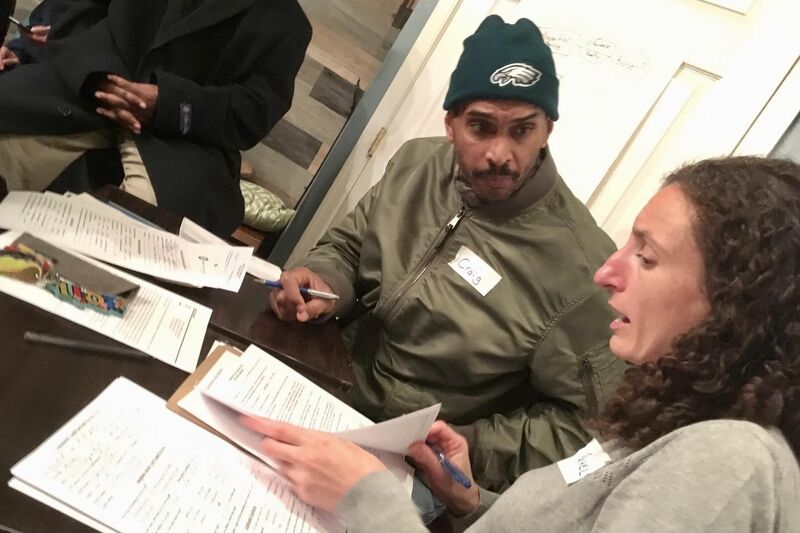 That means a pattern seen all over Philadephia is repeating once more: low-income residents are being forced out. After Pittsburgh synagogue shooting, clients ask HIAS: ‘Am I safe? In social media ravings he posted before killing 11 people at a Pittsburgh synagogue last week, Robert Bowers reportedly expressed anger toward HIAS. He repeated lies suggesting Jews were funding the migrant caravan traveling through Mexico toward the U.S. Columnist Mike Newall recently spent time at the Jewish-founded refugee resettlement agency. He found them juggling the trauma of the shootings with their everyday work helping refugees that they say have "never felt so unwelcome." La Colombe CEO Todd Carmichael says Election Day is "the day you should be late to work." His coffee chain is part of a national nonpartisan effort to make sure employees have the flexibility to get to the polls. And Nov. 6 is coming up quickly. That day Democrats will be looking for a "blue wave" and, if it arrives, reporter Jonathan Tamari says some of the first warning signs could arrive in Harrisburg or Erie County, Pa. Meanwhile, in Pennsylvania and across the country, education has become a hot topic during state elections with school funding and teacher salaries at top of mind. State Rep. Vanessa Brown was found guilty on all counts Wednesday for accepting $4,000 in bribes. She was the only Democratic-elected official to bring her case to trial of the six from Philadelphia implicated in a sting investigation launched nearly a decade ago. A Philadelphia police officer has been fired for fatally shooting an unarmed man last year. Police Commissioner Richard Ross announced the termination Wednesday. Pennsylvania just approved three more casinos for sports betting: SugarHouse Casino in Philadelphia, Harrah's Philadelphia Casino & Racetrack, and Rivers Casino Pittsburgh. Schools across Pennsylvania have wasted tens of millions in taxpayer dollars on roofing projects. Now a state legislator wants to open major construction projects to competitive bidding instead. Today and tomorrow, many Latinos in the region will celebrate the Day of the Dead to honor the souls of deceased loved ones and saints. In Philly, religion and country help shape their traditions. It's not uncommon to see police officers helping direct traffic around construction sites but, one Inquirer reader asked, why not use civilian workers? The short answer: drivers are more likely to listen to police. Two new marijuana dispensaries are opening in Philadelphia Friday, one in South Philadelphia and one on City Avenue. Well, that's terrifying. Thanks for capturing this Halloween installation, @yellaphant. Couldn't get rid of all that Halloween candy last night? Turn it into baked goods or candy bark. Or, you could always sell it to a dentist. At 2 a.m. on Sunday, we'll roll back the clocks for daylight saving time once again. But why? We're still not sure whether it hurts us or has real benefits. The 38th annual Gershman Philadelphia Jewish Film Festival launches this weekend and, though its programming was decided before the shooting at the Tree of Life synagogue in Pittsburgh, the idea of bridging differences echoes throughout the lineup. Golden Tate, the Eagles' newest wide receiver, flew from Detroit to Philadelphia this week to join the team. On his plane ride, he found out just how passionate Philly fans really are. The Phillies ended their sad season in need of a starting pitcher and they'll need to pick one up this winter. Reporter Matt Breen has four ideas for who should join the team. It's fall, which means dozens of movies are hitting theaters ahead of award season. Need help choosing? Our critics just reviewed Bohemian Rhapsody, Suspiria, Can You Ever Forgive Me?, and more. "And if Trump, or any president, can eradicate such safeguards with the stroke of a pen, no one in America will be safe from government tyranny. African Americans know this well. Or at least we should, because it was the unequal treatment of blacks that necessitated the 14th Amendment in the first place." — Columnist Solomon Jones calls threats to birthright citizenship an attack on African Americans. If 2016 was the revenge of the blue-collar white voters, 2018 will be the revenge of the other educated and urbane white voters, writes Philadelphia-based political consultant Albert Eisenberg. Despite recent events, columnist Michael Smerconish writes, there is positive political news all around us and we should draw strength from it now. WHYY has an alarming new report: more than half of Pa. public schools do not have a teacher of color. Their look at the data and its effects are striking, to say the least. Last week Philadelphia installed safe syringe disposal bins, which look like red mailboxes, at SEPTA stops and public parks around Kensington. PlanPhilly has details on this latest effort to curb the opioid epidemic. Ever heard of a "micropolitan" area? Experts are watching these small cities across America and, Curbed reports, they think they could help save lagging rural communities. Hopefully you're not over ghost stories just yet, because Hidden City has a great one about a 19th century South Philly cult called the "Holy Ghost Society." A bookstore in Southampton, England needed to move to a new location down the street, so it got 200 volunteers to form a human chain passing its inventory from store to store. Yes, really. Let NPR's story on it brighten your morning. Erin Carlisle Norton of Moving Architects dance troupe works with students at Valley Day School. At Valley Day School in Bucks County, a dance troupe is helping teenage girls heal wounds from trauma with dance.